Designer Lisa Wilkinson works in her studio at her home in Ballston Lake on Thursday, November 8, 2018. Take a walk around Ballston Spa and find the perfect present for that special someone. Corina Oberai has been designing and creating earrings, necklaces and rings since her early teens. By the time she was 18 she had five wholesale accounts and within three years was selling nationally to more than 100 stores, including places like Macy’s and Lord & Taylor. These days, however, you’ll find her quietly sitting in the back of her shop working on her latest piece. Oberai loves to put these new shapes into silver because she loves the color, the stones are set off better and the cost of the metal allows her to go bigger. “I want to make jewelry that anyone can like,” she said. 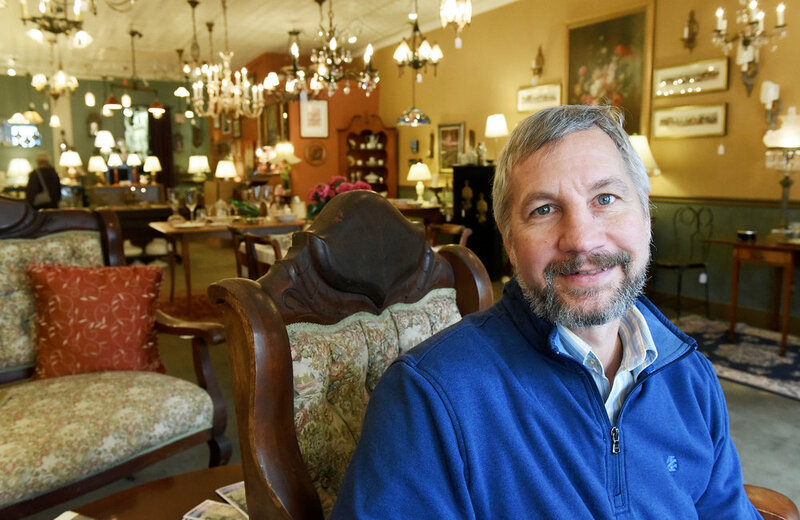 Amidst Gregory Tkal’s shop that is filled with vintage chandeliers, lamps and other items that he’s restored or rebuilt, are several pendant lights, stained glass birds, votive candle holders and sun catchers that he’s designed and made. For 30 years he’d worked in the trade with a stained glass shop, then with an Early American reproduction business that dealt with museums. In 2012 Tkal decided to open his store to do his own designs and custom work, such as stained glass windows or restoration lighting fixtures for the many local period homes. His creative juices get going though when he spots an interesting finial at some barn sale or decides to make a stained glass creature. “I’m always looking. . .something that catches my eye artistically,” Tkal said. Photography is Eric Seplowitz’s business, but not just any pictures. 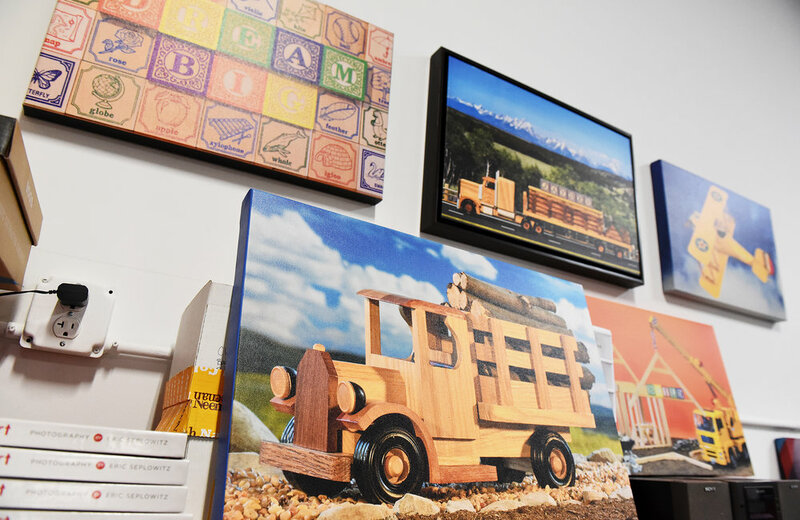 While his nature picture note cards, alphabet cards for kids and what he calls “décor for kids,” which are personalized pictures of trains or trucks, are great sellers, fine art photography is his new direction. He calls it microphotography. “I get closer to rocks than most people do,” he said laughing. Seplowitz zeroes in on a rock or crystal no bigger than about two inches and photographs it with special equipment that reveals the rock’s extraordinary interior colors and lines that flow like hills and valleys to create an exotic landscape. “I find this all fascinating. It’s a different level. . .the color, form, structure. You can see the building blocks of how the rocks are created,” he said. He makes prints of these rock interiors that are on display at the AMP Gallery in Saratoga Springs as well as note cards that are sold in various gift stores locally. Wilkinson, a former Verizon lineman, has always sewn. But about three years ago, she got bored doing the usual quilts and was looking for a new sewing challenge. A class on working with cork to make a clutch bag using a commercial pattern from Sew Many Creations sold her. She orders the metal frame and the cork, which comes from Texas via Portugal, and lines her bags with whimsical Day of the Dead cotton fabric. The cork is very light weight, durable and easy to clean. 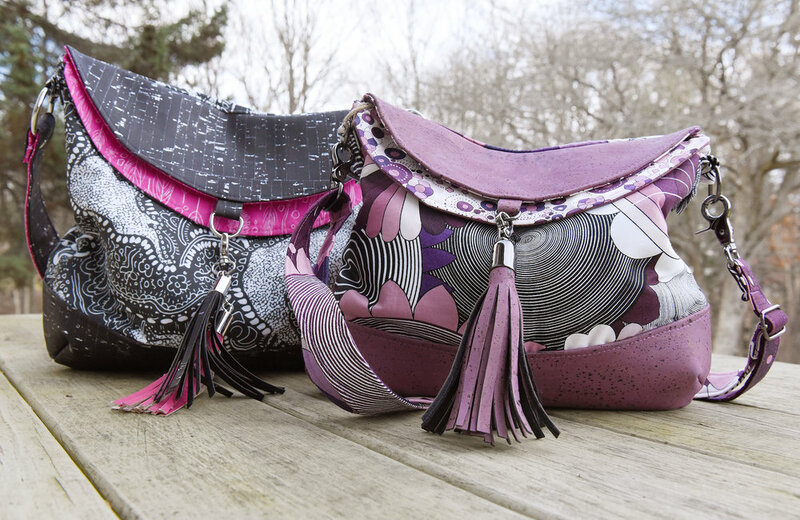 Her bags are also very popular. “I can work seven days a week to fill orders,” she said. 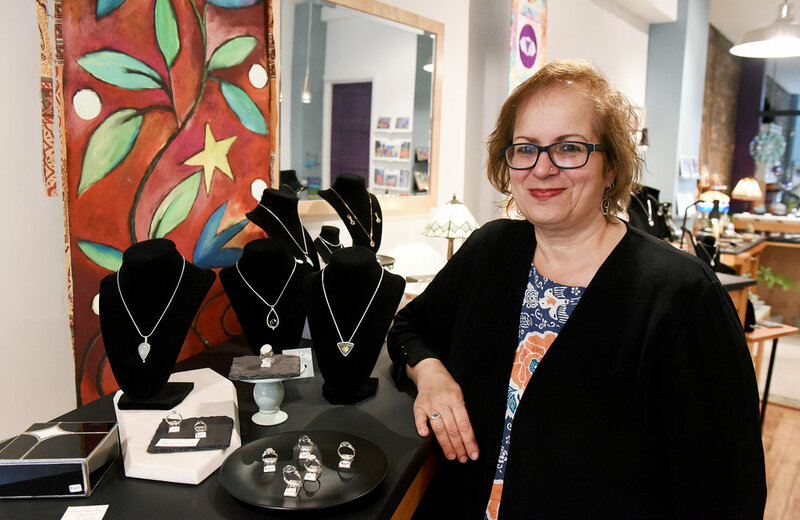 Wilkinson sells on Etsy, Instagram and retail at BohoChic at 90 Front Street in Ballston Spa.